A simple story of a rite of passage. 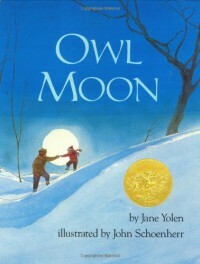 Between Yolen's descriptions and Schoenherr's illustrations it's easy to feel like you are there on a farm on a snowy moonlit night looking for owls. Cute book to read with kids.